When: When we have the ball moving across the halfway in the middle 3rd. Why: Poor decision making by individual trying to push the low percentage pass. Football Problem: We turn over possession cheaply in the middle 3rd due to poor decision and positional support. in conjunction with quick ball movement. -Back to the sideline to open your body up. 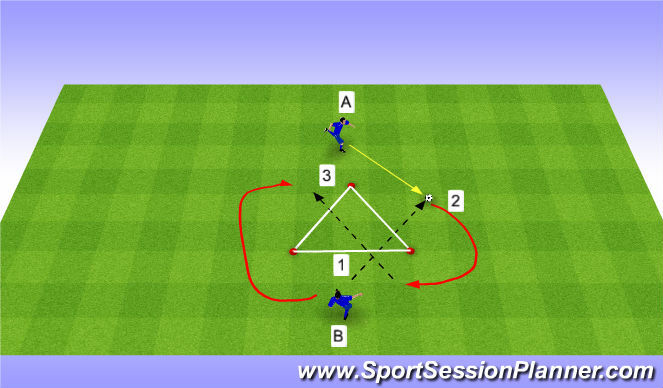 - Player (B) makes a pass through 2 sides of the triangle. 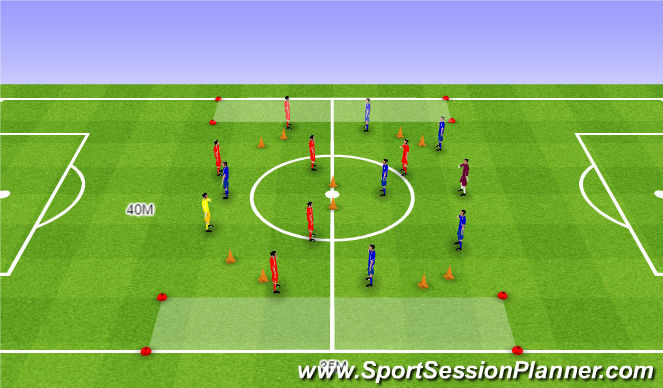 -Player (A) anticipate the pass by moving into position to recieve the ball. 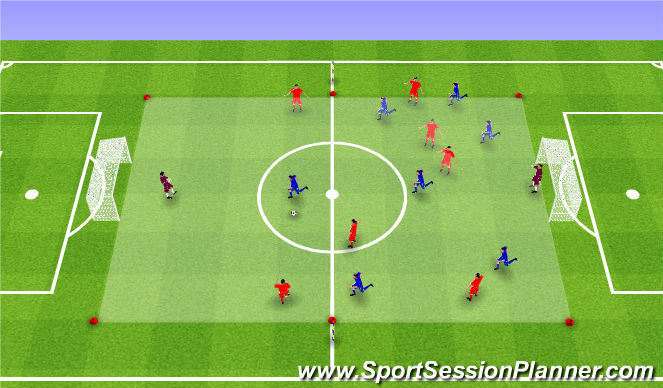 -Player (A) can take maximum 2 touches, one to control and the other to pass back. -Ball played in by coach/s either side to start play. -Team with ouot the ball to win back asap. -Can use the bouncer from the same team on the outside. -Bouncer can rotate after pass. -Additional player can support after 10 passes are completed to even the numbers to regain possession quicker. Session Objective: I aim to improve the teams ability to maintain controlled possession in the middle 3rd through better positional shape in conjunction with quick ball movement. -Odd number use a JOKER. -Limit touches on the ball. Team in possession that scores by passing through the goals drops a player off each time until there is only 1 player left. Team Tasks: Player with the ball to have a minimum of 2 support options at all times allowing them to combine and move the ball quickly. -Ball start from the back. Team in possession can score by completing 20 passes. Team can score by using wide players and scoring in the wide targets. Stop the ball over the line. 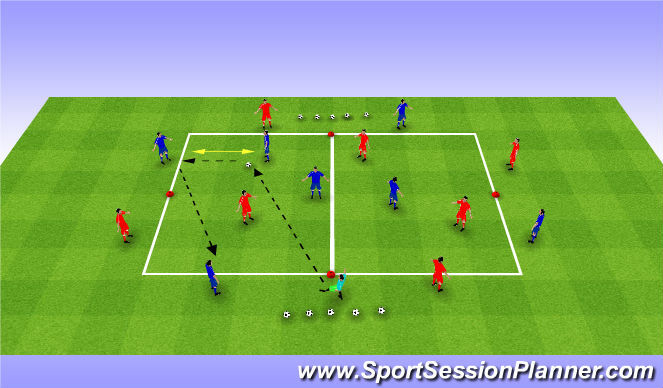 -Receiving the pass in a forward facing position. -Did they enjoy the session? -Where on the park could it be used? -When could it be used? -Where is the visible improvement in the Game training from the positioning practice? -Did they show an understanding and bring it to the park? -Could I've controlled the session better or differently?